A new civil service law will be adopted this year. 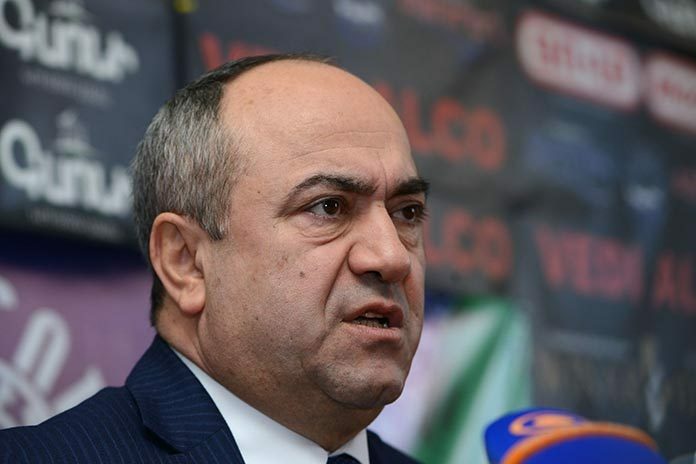 It is expected to make civil servants’ work more efficient and solve a number of major issues, something that so far has not been done due to its laboriousness, said Manvel Badalyan, the chairman of Armenia’s Civil Service Council, on Wednesday. “In our country, the civil service system has entered a development cycle from a creation stage. We have undertaken the reform of the system, which entails compliance with European standards,” he told media. According to the amendments, which are supported by the European Union, the evaluation of job performance will be henceforth important. “Every civil servant should not just come once in three years and prove the importance of his or her work, but their work must be evaluated every day,” said Badalyan. “It is no secret that our society is dissatisfied with the work of public servants. Aversion towards people with ties has been formed. We will provide quality civil service by evaluating the work of each of them,” he added. The new system, according to the official, will make it possible to review the salaries of public servants. To reduce public discontent, according to the chairman of the Civil Service Council, the heads of departments, who support illiterate and incompetent employees, should also be dismissed. In 2008, there was the largest number of civil servants (8,100) in Armenia compared to previous and subsequent periods. In 2015, their number was more than 6,600 people. Last year, the Civil Service Council organized a contest for 908 vacant positions, of which 15 percent of cases, according to Badalyan, there were no winners, while 15 percent did not take place at all, because the candidates had very low skills. One problem, for example, is that some positions require knowledge of foreign languages, and applicants do not know the language sufficiently. “My colleagues often ask me whether it is mandatory that prospective civil servants know who wrote the Ever-Ringing Belfry poem. I think they must know. If a person, for example, does not know which states border on Armenia, then why should they become civil servants?” Badalyan said. “Since January 2015, employment contracts with around 150 temporary employees occupying vacant positions have been terminated due to lack of sufficient knowledge. Most of them are department heads,” added the head of the Civil Service Council.